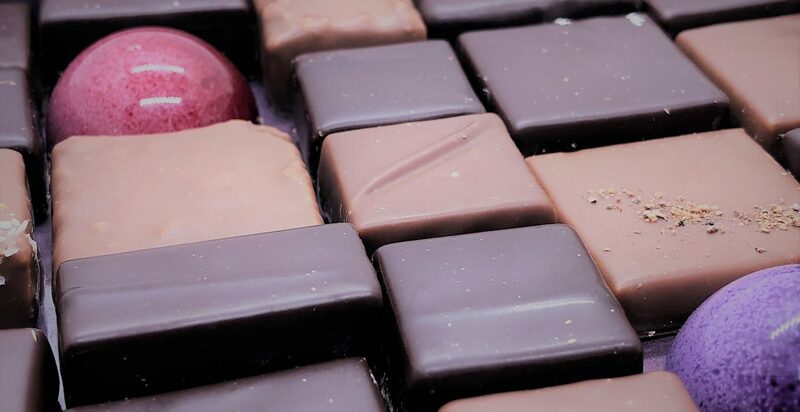 The false traceability scandal at Mast Brothers Chocolate (summary here) recently turned a spotlight onto other United States chocolate makers. It is safe to say that Europe is cocoa’s “hub” in terms of (chocolate) bar-making history and manufacturer legacy. Yet, the USA has numerous large chocolate companies, and furthermore, birthed many specialty and smaller “craft” chocolate makers besides Mast Brothers within the past decade or two. Time Cupsoul sets out to explore the best of American chocolate in the coming weeks. One place to find unique chocolate bars of all origins (bean and brand), is at specialty food stores, such as Fresh Market, Whole Foods or Trader Joe’s. These store types each carry different selections of chocolate and sometimes, their own brand of bars. Theo Chocolate, based in Seattle, provides the first taste of the week. Theo’s 3 oz bars are approximately $4. Other brands of 3 oz bars are up to $8. Theo attracted my attention partially due to the emotive packaging; the logo and colors are beautiful. “Theo,” which could perhaps be a nod to “theobroma cacao,” the taxonomic classification for the plant, is written in cursive, with a cocoa pod for the “o” letter. Each Theo chocolate bar has different coloring within the logo at the top of the bar’s wrapping. For the Salted Almond bar, the coloring is yellow, light blue and light green. For the Cherry Almond bar, the coloring is more orange and yellow. Beautiful. If interested in design, Theo’s “limited edition/partner” bars and “fantasy” bars have even more illustrations. The unwrapping of the bar induced excitement. The underside of the bar reveals itself first, a rectangle of milk chocolate brown and white almond slivers peeking through. Flip over the bar and it’s the “Theo” logo imprinted on each square. The details of the squares are crisp and smooth, as evident from the picture. Each logo remained intact, making for a beautiful display. The snap of the chocolate is good, and within each nibble, many small almond pieces await. The bitter sea salt also bursts through as the sweetness of the milk chocolate opens on the taste buds. The combination is welcome. Additionally, the bar is certified as USDA Organic and Fair for Life, containing 74% Fair Trade ingredients. Time Cupsoul is eager to try another flavor of Theo soon. Next up: an East Coast chocolate bar review! *Please note that all chocolate bars consumed and reviewed are randomly chosen and purchased with personal funds.